DogAddicts.com > INFORMATION CENTER > Welcome-Read this first > FREQUENTLY ASKED QUESTIONS > Topic: Different Emotes? I'm really, really not the sharpest crayon in the box when it comes to the computer but I'm not THAT dull either. Where do you all find the different smilies/emotes to add to some of your posts? I've tried to figure it out but my brain ain't gettin' it. Thanks for the help. Remember the past, plan for tomorrow but don't forget to enjoy today! I've seen those that DA supplies but other members come up w/ different ones that DA doesn't have on their list. I just was wanting like new bday ones to put up or sometimes I don't see one that "fits" my mood at the time. I was just curious. I can never get to the "more". when I click on it, all the emoticons stop and my computer freezes. Gordonmom, when you click "more", it's a pop-up. Do you have a pop-up blocker on? If you click the CTRL button with the link, that usually works to make a pop up pop, with a blocker on. I store some emotes, in an account at photobucket, to have a few more at my disposal. Thanks for the link. I was able to go and get some REALLY special ones to use for special occasions. In fact, a few I have in mind for our jan. I thought i heard my name Jenn. 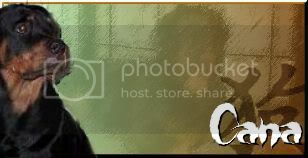 Just for your info Jenn~ i already have a photobucket account so bring it on!!! Nope, ctrl doesn't do it---still locks up. When i click on the more button for ore emoticons the emoticons do stop moving but i believe that's how it's supposed to work. You can still click on them though to use them. Oh jan! I've found SO many that I can't wait to slap on here. I'm so excited (yes, I'm very easily entertained). This should give ya a clue. Bawhahahaha! Nope Dawn--I have never seen that screen. Do you know how easy i can steal emotes? That is so strange.. I don't think anyone else has had that problem.. or at least hasn't mentioned it. Yes, I've finally figured it out. I'm such a genius. Watch out jan, here we come to steal all your chocolate cakes and brownies. Bawhahahahaha!!! I've always had the problem, but I thought it was my computer! When I click on "more" the ones above stop moving, but the ones in the "more" box stay moving. When I close the "more" box, the ones above do not go back to moving. But if I click above it still puts the emote in the post, so that' swhy I never said anything! When I click on "more" the ones above stop moving, but the ones in the "more" box stay moving. that's cuz it's a popup. It's supposed to work that way. Once you post.. and go to another post to reply, they work again, don't they? Probably can't use them here, unless someone tells me a way to, but I can use them in my e-mails!! You'll need to save them to a place like photobucket. Then I just go under the icon that I want and copy the IMG tag. I then come back here and paste it where I want it. Thanks! I think I have a photo bucket account from when I was briefly on another board a long time ago, and the only way to post pictures was through photobucket. But I doubt I can remember how to find out.